Facebook is about people and we think most experiences are better when they're social. 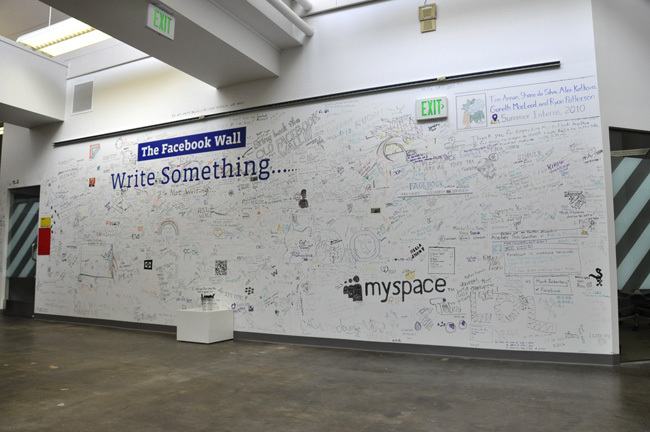 I thought it would be cool to extend that thinking into our physical space so I created the Facebook Wall. 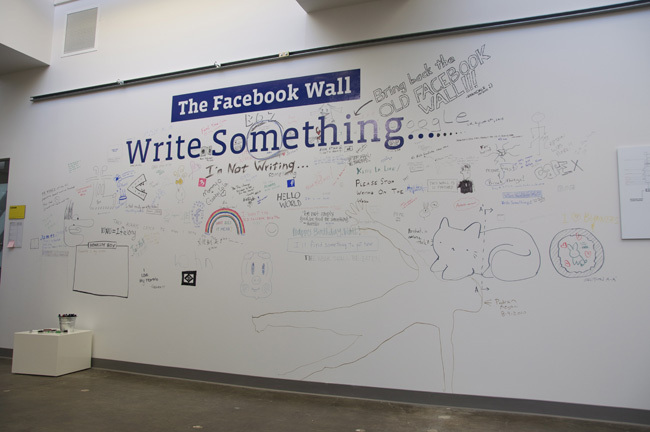 I didn't ask anyone for permission, I just put it up and set out a bucket of markers. 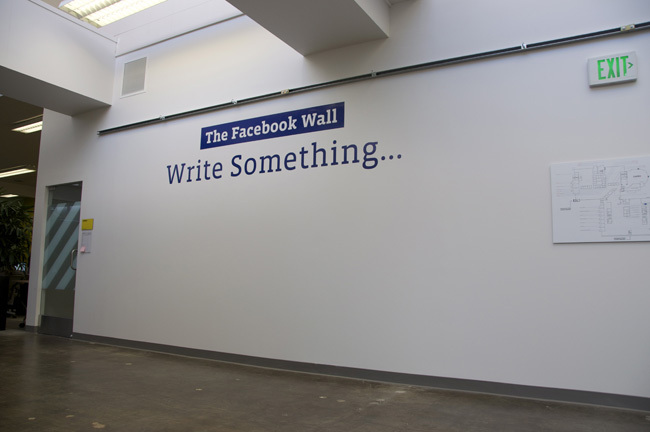 If you visit our office you can "post" on our wall.